Partnering with Associated Time & Parking Controls, a leading supplier of Workforce Management Systems, Parking and Revenue Control Equipment, and Access Control Systems, Park Assist will be introducing its advanced smart sensor PGS to help the Austin–Bergstrom International Airport (ABIA) to provide a stress free parking experience for travelers. The project for an existing parking garage at the airport is scheduled to commence in February 2018, and continue to expand to a brand new garage facility upon the completion of its construction. Associated Time & Parking Controls, together with Park Assist will provide a combination of both- standard software products and custom software solutions for this new and exciting initiative which will help to modernize and improve the operations of both parking garages with over 5,500 parking spaces. “Associated Time is excited at the opportunity to partner with Park Assist on such a prestigious project. The Austin Bergstrom International Airport is one of the premier airports in the State of Texas and with the completion of the Park Assist Parking Guidance System, the airport will now have the ability to offer premier customer service to its parker’s in the way of finding available space, along with many additional features. We have always valued our strategic partnership with Park Assist, and look forward to working with them on this and many additional projects to come in Texas and the surrounding States,” said Christopher J. Archer, President of Associated Time & Parking Controls. ABIA is an international airport located in Austin, Texas, United States, and serving the Greater Austin metropolitan area, the 31st-largest metropolitan area in the United States. Travelers will be treated to an effortless parking experience with the M4’s unique smart sensor and real-time digital signage guidance to open spaces, Find Your Car™ feature and opportunities to select premium-parking benefits through the Park SelectRate™. According to customer surveys, people who may be on tight schedules, have families with children or business travelers want the ability to select convenient parking spaces to ease their transition to the terminal. With a standard Park Assist installation, smart-sensor cameras will be put in place to identify vehicles and monitor occupancy in every parking space. Upon exit Park Assist’s Park Finder™ feature will enable returning parkers to find the exact location of their vehicles by simply typing in the license plate number at a touchscreen kiosk or on a smartphone app –and/or by inserting a parking ticket at a pay station. For better facility control, Park Assist’s License Plate Recognition (LPR) function of its M4 sensors will apply an enforcement feature called Park Alerts™, indicating where the travelers and airport staff are authorized to park, and providing real-time centralized review of such information, notifying the garage operators about the location of each vehicle, including parking violations. The innovative technology platform behind Park Alerts™ is specifically designed to not only provide this kind of data, but also allow for automation of these dynamic parking policies. “As Park Assist continues our growth in Texas, we are extremely excited to be working with one of the market leaders in Associated Time and Controls. 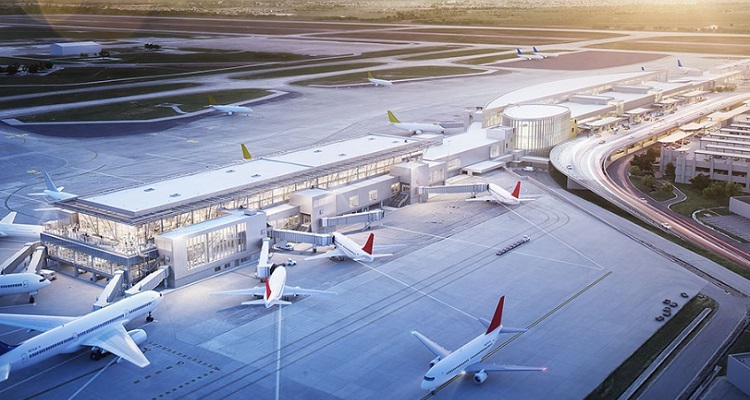 The project at Austin–Bergstrom International Airport with Associated Time leverages the latest innovations in parking technology in addition to industry leading local support. We look forward to a very successful project and all of the future technology integrations that may be leveraged through this relationship with Associated Time and Control,” said Vince Balsamo, North America General Manager for Park Assist.